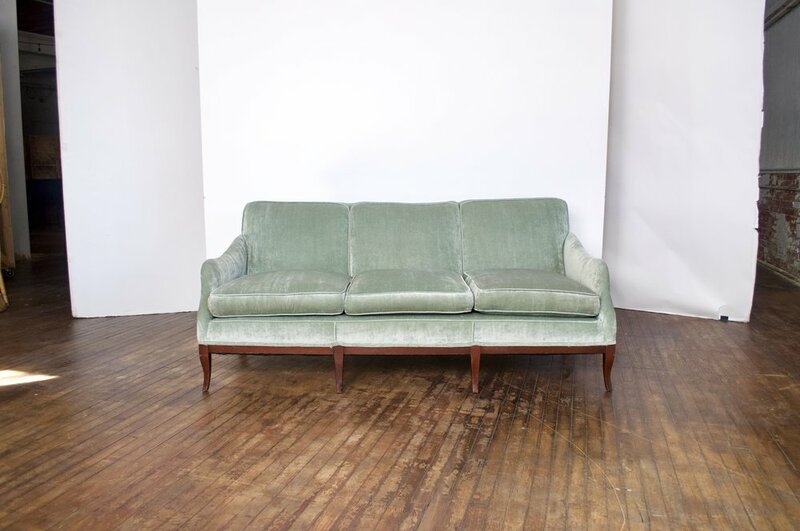 The Emily Sofa is a full-size sofa with queen ann legs and bluish, greyish, greenish velvety upholstery. This sofa is versatile, and comfortable. It pairs with most of our wood-trimmed chairs.